Interested companies will have to submit expression of interest by April 9, and the deadline for binding bids is April 30. Tata Sons, Etihad Airways, Qatar Airways and Delta Airlines. The list of suitors looking to woo Jet Airways may include these names, and many more. Each of these companies has engaged with Jet sometime in the past two years, and industry observers say that banks will again approach them to take a look at the distressed airline. On March 25, the Jet board cleared the way for the banks, led by State Bank of India, to take 51 percent stake after fresh allotment of shares. With that, shareholding of Naresh Goyal fell to 25.5 percent from 51 percent. Etihad's share also got diluted to 12 percent, from 24 percent. Goyal and his wife Anita, have stepped down from the Board of Jet Airways, as did one of the two nominees of Etihad. 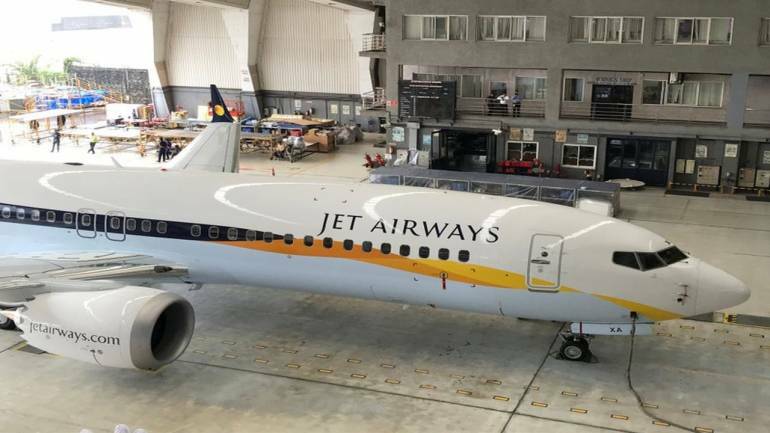 The banks, who will put in Rs 1,500 crore in the Indian airline, have now set a deadline of May 31, by when a new owner will have the controls of Jet Airways. Interested companies will have to submit expression of interest by April 9, and the deadline for binding bids is April 30. "But are two months enough for companies to complete their due diligence for an investment that could cost up to Rs 30,000 crore?" asked a senior executive from the industry. To start with, a major stumbling block for these investors has been set aside. Exit of Goyal would mean that one common condition for all the suitors has been fulfilled. Tata Sons, which had held preliminary talks with Jet Airways, would be on of the favourites in the race, given its history in aviation. The conglomerate is keen to scale up its presence in the sector. Jet will fit in well with Tata's ambition to scale up operations of Vistara, its joint venture with Singapore Airlines. IndiGo, which has already built a commanding lead in the domestic market, is looking to do the same in international traffic. Jet Airways, which flies to about 20 countries and has code share with an equal number of airlines, will help IndiGo build on that ambition. The Rahul Bhatia-led carrier is also perhaps the only airline in India that is financially capable to acquire Jet Airways, which has debt of over Rs 8,000 crore. IndiGo has a market cap of Rs 53,282 crore (at the time of writing), many times more than Jet's Rs 3,160 crore. Delta, the Atlanta-based second largest airline in the world, had been in talks with Jet for over a year, from 2017 on wards. But talks got stuck over the role of Naresh Goyal. Delta has a code share agreement with Jet. And there is one more connection. Jet's CEO Vinay Dube is a former Delta veteran. Also, the American airline has been keen to link the US market with Mumbai. A stake in Jet Airways, will give it access to the fastest growing aviation market in the world. Qatar Airways also wants to have a presence in India. And its CEO Akbar Al Baker has repeatedly talked about his interest in forging a deal with IndiGo. While the Gurugram-based airline has not played ball yet, Baker will find a willing partner in Jet. But Qatar has till now stayed away from Jet, especially given the presence of Etihad in the Indian airline. But if Etihad does sell its stake in Jet, and its CEO reportedly offered to do so to the latter's lenders, Qatar could become an interested party. But the dark horse will be the founder himself. Even though much of Goyal 25.5 percent stake may be pledged with the lenders, the deal doesn't prevent him from increasing his stake in Jet Airways. And despite statements on Monday that sounded like farewell comments, Goyal continues to have a presence, including nominees on the Board, in Jet Airways. For someone who defied odds to start a full service airline in India, and then led it through many a turbulence, it won't be surprising to see Goyal team up with an investor to bid for Jet Airways.